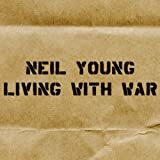 In a week filled with exciting new music releases, my pre-orders consisted of Neil Young's protest album (out digitally last week), Living With War, blogger-approved Beirut's Gulag Orkestar, The Stills' Without Feathers, Shearwater's Palo Santo, and Kimya Dawson's Remember That I Love You. With all this music headed my way, it is the Kimya Dawson disc that I am most waiting to spin. I'm headed out tomorrow to pick up the final Grandaddy disc, Just Like The Fambly Cat, what else should be on my radar? My only DVD preorder was the first season of the "sqigglevision" classic, Dr. Katz, Professional Therapist. I'm hoping the super-megastore will have a deep discount on the third season of Scrubs, and looking for other deals on this week's releases. What can you recommend?